From USA Today Bestselling author Fiona Quinn a thrilling novel of uncompromising determination and courage. A madman forces his way into Lexi's home. Her survival means she is the only one who can identify the stalker. Lexi becomes the critical witness who holds the key to stopping the serial killer, terrifying Washington families. Striker Rheas, an ex-Navy SEAL, and his team of expert operators are charged with protecting Lexi. The more time Striker spends on this security assignment, the more trouble he has maintaining the boundaries of professionalism. 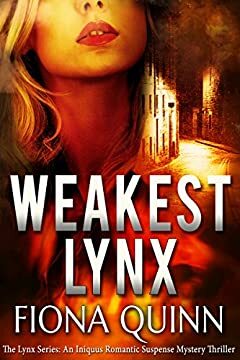 He knows Lexi is keeping secrets and protecting her is not going to be an easy task if he's missing vital information, and losing his heart to her. ËƒËƒËƒ How Much Can She Reveal Without Getting Herself Killed? With her psychic antennae tuned in, Lexi realizes that what she hides, what she reveals, and what she uncovers will need to find the perfect balance if she's going to save her own life and stop the killer. Time is running out. ËƒËƒËƒ Join Lexiâ€™s battle to protect the greater good.